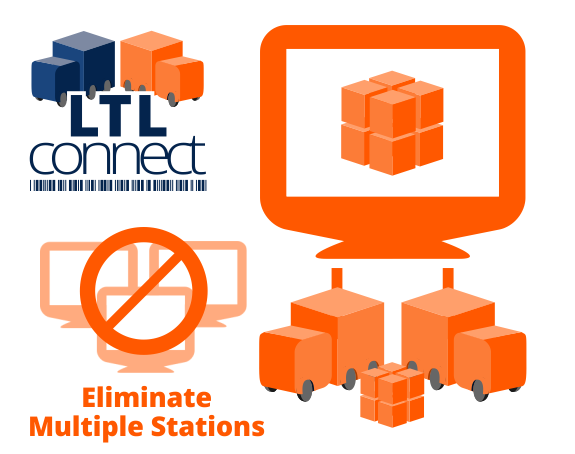 LTLconnect™ is a thorough LTL (Less Than Truckload) carrier consolidation integration and rate shopping component within our Warehouse Management Software, Wireless Warehouse In A Box™ designed to eliminate re-keying data and the pile of boxes waiting to get processed. This component also includes the ability to manage multiple client specific inventory on a individually configured station. Streamline Less Than Truckload operations within your logistics warehouse and consolidate multiple carrier specific stations into one!